Sofia Vergara is another Hispanic actress, TV presenter and model who has successfully crossed over into the English-speaking market. Her full name, according to the usual Spanish naming convention, is Sofía Margarita Vergara Vergara and she was born in Colombia on July 10 1972. Her television career began on Spanish-language network Univisión back in the 1990s where she became very well known for presenting two popular shows. She made her move into English-speaking movies in the 2003 film Chasing Papi and subsequently went on to roles in many other films, among them The Smurfs, Happy Feet Two and Hot Pursuit. However, it is her television acting for which she is best known, playing Gloria Delgado-Pritchett in the hugely successful series Modern Family. The role has won her multiple award nominations and seen her named top-earning actress on US television two years running, in 2012 and 2013. Vergara moved to Miami in 1994 to escape unrest in her native Colombia, where one of her brothers was murdered. She was naturalised in 2014 after achieving a score of 100% on her citizenship test. Her story is testament to the fact that anyone can adjust to a new country and language, but even if you don’t plan to move to a Spanish-speaking country, acquiring the language is very useful both for business and pleasure. If you are thinking of taking it up, our Spanish lessons in London are the ideal starting point. Prospective students often ask us which is the most effective way to learn Spanish. There are, of course, many different ways of learning a language, and many different types of student with their own learning styles. For a great many people, their word ‘lesson’ is synonymous with being in a classroom with a group of other students; they feel comfortable in this traditional setting and they may decide to enrol on a Spanish course at their local night school. While we certainly don’t want to be disparaging about this type of course, they are bound to a great degree by the curriculum which is set for them by their local authority and they are obliged to cater for a wide range of students with different abilities and learning objectives. Classes will go at a pre-determined pace and quicker learners can sometimes feel held back by the slower ones. This is why we always recommend Private Spanish Lessons over group ones. With a dedicated tutor of your own, you benefit from expert one-to-one tuition that simply can’t be matched for its effectiveness. Lessons are geared around your own abilities and learning objectives, so you need never feel that you are waiting for others to catch up or, conversely, that you are struggling to keep up with your classmates – instead you learn entirely at your own pace. Any questions you have can be answered right away and you get to maximise the time you spend in Spanish conversation, instead of waiting to let others take their turn. Your tutor can then help you to hone your pronunciation and grammar much quicker, so you become a confident Spanish speaker in the shortest possible time. Why aren’t foreign languages learned the way you learn your mother tongue? If you’ve ever tried studying a foreign language, whether it be Spanish or any other, the thought has probably occurred to you at one time or another how much easier it would be if you could pick it up as easily as you picked up your native language. So why don’t we? When we learn our mother tongue, we do so at a crucial stage of cognitive development that simply cannot be replicated when it comes to learning a second language later on in life. As children we are driven to acquire language because it is essential if we are to interact with others and enjoy a full role in society. We are not even conscious of the complex rules of grammar that we are absorbing; these simply become second nature to us. However, unless we grow up bilingually, we don’t learn a second language in the same unconscious way – we have to study and memorise grammar. The rules we don’t even think about in our own language cause a sort of ‘resistance’ in our minds which make the new language seem, well, foreign! That said, learning a second language is not as hard as it might sound. Though we will never again be at the same stage of cognitive development at which we learned our native language, we can use some of the same methods. We learn our first language primarily through natural and continual conversation with our parents. This is something we can replicate to some extent and lots of people find Intensive Spanish Lessons are a great way to break down those mental barriers and get fast results. 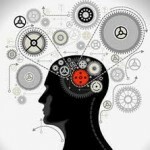 improve your mental well-being? Many believe it can, and here are just some of the reasons. Getting to grips with Spanish, or indeed any foreign language, certainly brings a great sense of achievement which will help to boost your confidence, but it’s also been proven by physiological studies to bring a wealth of other mental benefits besides. The mental stimulation of learning a foreign language helps to improve cognitive processes, which has been shown to improve concentration, the ability to multi-task and problem-solve as well as sharpening your reading, negotiation and decision-making skills. Strange as it may sound, learning a second language also helps to improve your first language because it makes you think more carefully about grammar, conjugations and sentence structures. This can help you to become a better communicator and writer, so by enrolling on our Spanish lessons in London, you could gain the added bonus of improving your English into the bargain. There have also been various studies which consistently link bilingualism to improved memory. Memorising the rules and vocabulary of a second language exercises the brain, encouraging it to function more effectively, just as physical exercise helps keep the body fit. These studies also show that adults who speak only one language suffer the first signs of dementia on average four years earlier than those who can speak two or more languages –compelling evidence that learning Spanish is good for you! 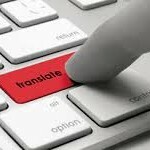 There are many reasons to learn a foreign language – for some it is a matter of business necessity if their occupation requires them to do business internationally; for others it is purely a question of taking pleasure in learning, but most people embark on a language course because they already have an interest in the country in which the language is spoken, and its culture. Those attending our Spanish lessons in London cite all these reasons, as well as many others. Learning Spanish helps you to understand the cultural heritage of Spanish-speaking countries, whether that is Spain itself or one of the Latin American countries. A good understanding of Spanish will open up opportunities to explore its vast literary contribution over the centuries from greats like Cervantes, Marquez and Neruda, all of whom we have featured in our blog in the past. It also allows you to enjoy more fully some of our wonderful cinema from the likes of screenwriter and director Pedro Almodóvar, whose work we often use as a teaching resource, or to understand the lyrics of the music, both classical and popular, which you may already love for its melody and vitality. And there is no better way to understand current affairs and prevailing attitudes in the Spanish-speaking world than being able to read newspapers and magazines, online versions of which are freely available for the keen learner, or by watching Spanish-language television without having to rely on subtitled or dubbed versions which often fail to fully capture the nuances of the original dialogue. 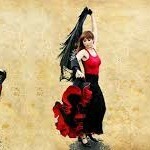 If you want to discover the joy of learning Spanish and the wealth of culture it can open up for you, get in touch. markets in which they can grow and recoup some of the losses they have been forced to sustain in their traditional markets in more developed countries. This is particularly true of insurance companies who, due to low interest rates and increased competition at home, have been seeking to branch out in order to spread and mitigate their risks. Latin America has proved to be an extremely attractive market for such companies due to its high population, expanding economy and growing middle class. Substantial foreign investment in the region has made it more stable and business friendly for insurers who are cautious by their very nature. Industry figures place Latin American gross written premiums higher than Europe, the Middle East and Central Asia put together. 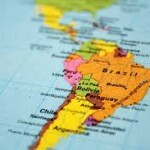 Unsurprisingly, around half of this revenue comes from the region’s largest economy, Brazil, but the Spanish-speaking countries are also proving lucrative for insurers, with Chile, Argentina, Mexico, Colombia, Venezuela and Peru also showing strong growth in the insurance market. However, this rapid growth has led to a shortage of qualified workers, with actuaries particularly sought after. This presents opportunities for expats who may wish to relocate, whilst at home, those working in insurance in the UK are increasingly likely to have business dealings with their Latin American counterparts. Clearly, the ability to speak Spanish is a distinct advantage in either case. Our intensive Spanish lessons are the ideal way to learn the language quickly and with your specific learning objectives in mind. Our native tutors can coach you on the vocabulary which will be important in your specific field as well as providing all the fundamentals for a good command of the language in general. Get it touch for more information or to book your lessons. festival in Spain and Hispanic America with many traditional celebrations taking place across the country. Easter is marked in many towns and cities by processions through the streets during the evening. Ornate floats called tronos depicting part of the Easter story are carried by as many as forty or fifty people in parades lasting several hours. Some regions have their own specific traditions for their tronos and processions. In Murcia, for example, a tronos depicting the Last Supper is carried which includes a table laid with real food, and on Easter Sunday that food is eaten by the men who have carried the tronos through the town. In Malaga, the Easter traditions include the ritual freeing of a prisoner, who is then blessed by the figure of Jesus Christ. In the village of Hellin, in the province of Albacete, you can witness the Tamborada – a festival of up to 20,000 drums parading through the streets. 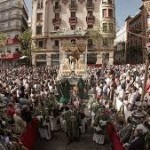 However, by far the biggest and most famous processions take place in Seville. These are organised by the Easter Brotherhoods, (co-fradias) and often include highly decorated (and very heavy!) statues of the Virgin Mary as the various Brotherhoods vie to put on the most spectacular procession. If you’re currently taking Private Spanish Lessons then you will certainly be fascinated by the deeply religious and colourful celebrations taking place across Spain at this time. sorts of language courses that you can buy in the form of interactive software and/or accompanying books, all claiming to teach you the language effectively without a teacher. Can it really be done? These courses are not without merit, and they can indeed be a useful supplement to learning with a tutor or as a means of practising what you already know or expanding your vocabulary, but there really is no better way to learn any language than one-on-one learning with a native tutor. Intensive Spanish lessons such as those we offer in the London area give you the best opportunity to get the most out of your learning. That’s because you have a dedicated tutor who is focused solely on your own abilities and learning objectives. You can learn at a pace that suits you, rather than having to fit in with the pace of the average learner in a larger class. If you struggle with certain grammatical rules, as many people do when learning a foreign language, they can go into more depth where necessary or provide additional exercises that will help get you past these obstacles. No software, no matter how sophisticated, can do this for you. Being native is of vital importance too. Only a native speaker truly knows all the nuances of a language and can pass them on to their students. You wouldn’t send your child to be taught English by someone who didn’t speak it as their first language, so how can a book or a computer take the place of native Spanish tutor?